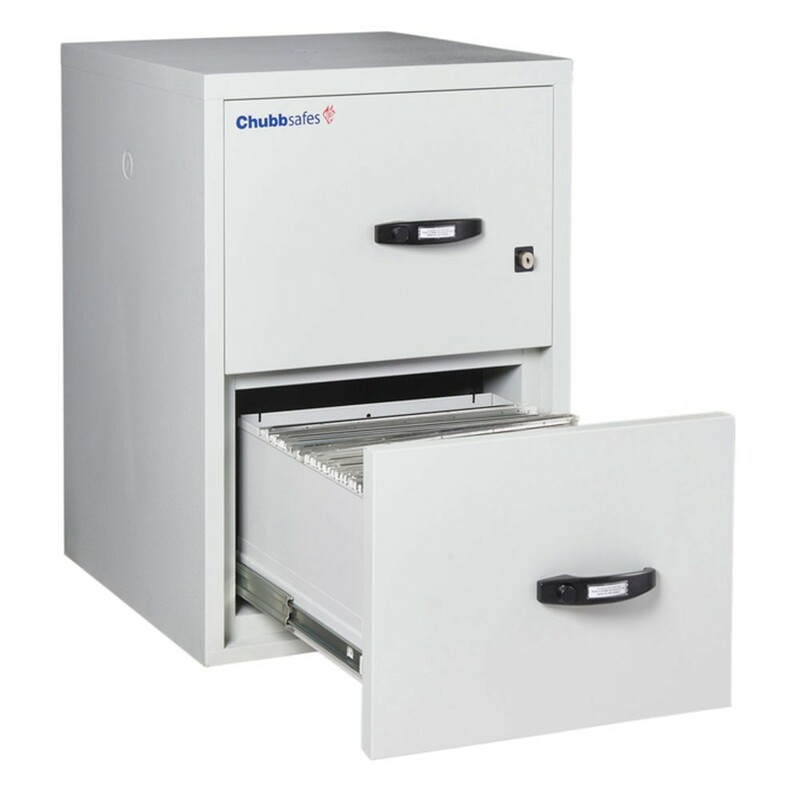 The Chubbsafes Fire File 25 inch cabinet 2 drawer filing cabinet is a fire resistant certified filing cabinet for document storage. it is certified by Underwriter's Laboratories according to Standard 72, Class 350 Endurance for up to 60 minutes fire protection for documents. It is fitted with a key lock and is supplied with 2 keys. The Chubbsafes Fire File 25 inch cabinet 2 drawer filing cabinet has a day-catch fitted to each drawer to ensure that the contents are protected from fire as long as a drawer has been closed, even if the cabinet is unlocked and the contents of other drawers are protected from fire even if one of then in left open. Each drawer is fitted with high-quality steel sliders for easy access and use. and they are designed to accommodate foolscap or A4 filing.